It is pretty impressive to listen to this set from 6 years and to think about how cutting-edge and fresh it still sounds. Despite all of the progress that the “beat” scene has made since then, it still sounds miles ahead of most releases. I was at this show back in 2008 and it just pretty much blew my mind. I’ve always been a hip-hop meets electronic music kinda kind and up to that point I had never seen these two co-exist so well on one stage. 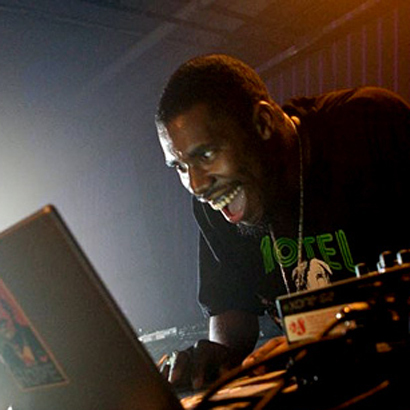 This was Flying Lotus‘ first appearance in Canada and was the highlight of Mutek that year (for me). I had circled it on my calendar but from the looks of the crowd before the show they weren’t too sure what this was about, as most people were there for Kode9 who was playing after. Well, quite simply it was one of the best live sets I’ve seen, still to this day. So often these laptop + controller sets are absolutely boring but this was a real performance – none of that checking your emails on stage BS. The whole set was a perfect balance of the electronic side with gems from Nosaj Thing, Burial, Aphex Twin and the hip-hop side with Slum, Dilla, Busta. I became obsessed with a few Lotus tracks like “Sangria Spin Circles”, “Melt” that would come out a little later. This show had an absolutely huge influence on me and my pursuit of all things slightly more leftfield as a DJ. I knew that I wanted to push this sound as much as I could. Man… that Windowlicker remix into Quasimoto “Hydrant Game” moment still gives me chills. Flylo changed my life!